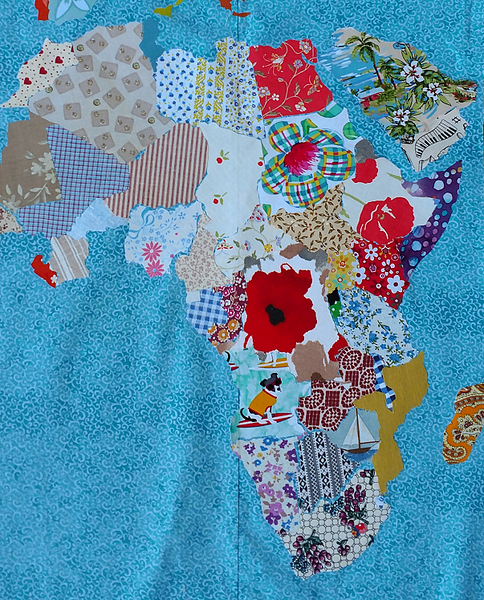 I received enough fabrics from Postcrossers to do an update to the world map! Once again, I'm doing this entirely with fabric donated by Postcrossing people, so the fabrics are random sizes, shapes, colors and materials! After Africa is finished up I'll get back to Europe, because Russia is huge and that's going to by default move me into Asia. This entry was originally posted at https://laridian.dreamwidth.org/2946911.html. Please comment there using OpenID.